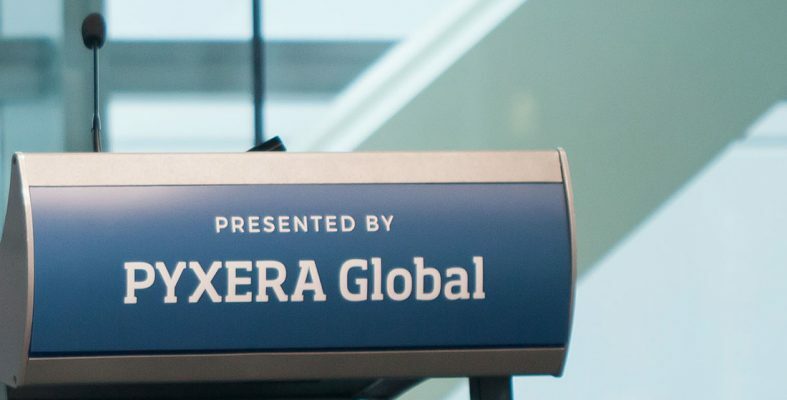 July 30, 2015 (Washington D.C) – Soud Habbas, Senior Director, Operations and Compliance at PYXERA Global, was awarded honorable mention at the Inside NGO Operational Excellence Awards Ceremony for his excellent work in scaling process and procedures commensurate with PYXERA Global on-going growth. Soud will be recognized in the Operational Excellence Awards Ceremony program as part of Inside NGO’s Annual Conference July 30. PYXERA Global’s growth over the last few years has more than doubled its staff and increased its global reach. Soud led a complete redesign of processes to create more efficient, safe, and consistent operations for PYXERA Global in the areas of procurement and compliance. He brought significant benefit to PYXERA Global, as well as to partner organizations, through the creation of an organizational risk analysis, standard policies and processes, comprehensive staff trainings, robust client agreements, and operational audits. The new processes developed—and implemented—have helped PYXERA Global enhance its strategic growth. Soud serves as the Senior Director of Operations and Compliance for PYXERA Global. He oversees the day to day operations, procurement, and risk management of PYXERA Global. He also has a degree in law (J.D.) from the George Washington University in Washington, D.C., and has several years of experience in private sector development having served as the Senior Contracts and Grants Director and Internal Investigator at ACDI/VOCA, both in Washington, and overseas in Jordan and Egypt; as a Deputy Country Representative in the Occupied Palestinian Territories; and as the Grants and Compliance Manager on projects in Rwanda and the Occupied Palestinian Territories. Soud also currently serves as a member of the Finance, Grants and Contracts Advisory Council for InsideNGO, and has conducted trainings for InsideNGO member organizations on U.S. Government acquisition and assistance rules and regulations in the U.S., Jordan, Ethiopia and Uganda. 2015 marks PYXERA Global’s 25th anniversary. Join us in a year-round celebration of 25 years of impact. Click here to join our community and learn how you can get involved. PYXERA Global leverages the unique strengths of corporations, governments, social sector organizations, educational institutions, and individuals to enhance the abilities of people and communities to solve complex problems and attain mutually beneficial goals. The PYXERA Global team is passionate and dedicated to navigating challenges and pinpointing purposeful global engagement opportunities for its clients and partners. Initiatives include a wide range of services from local content development to global pro bono programs and integrated community development efforts that transform lives and livelihoods.